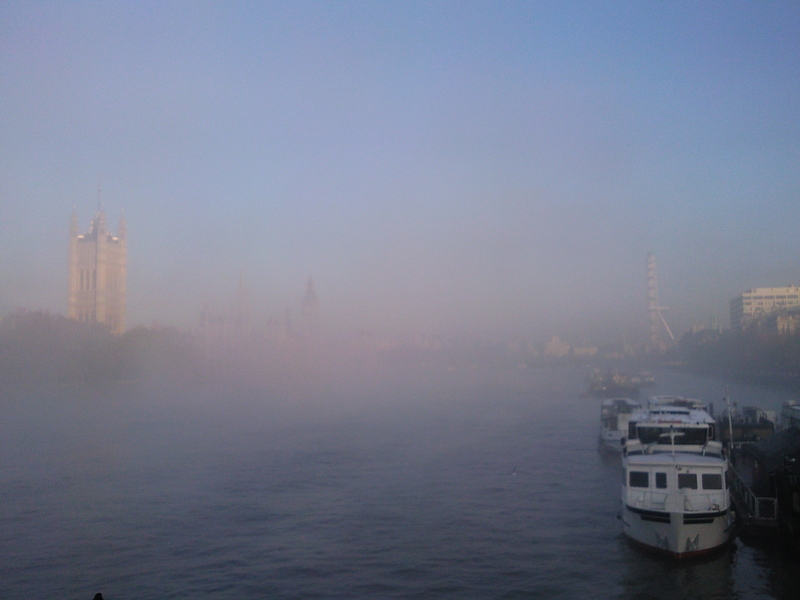 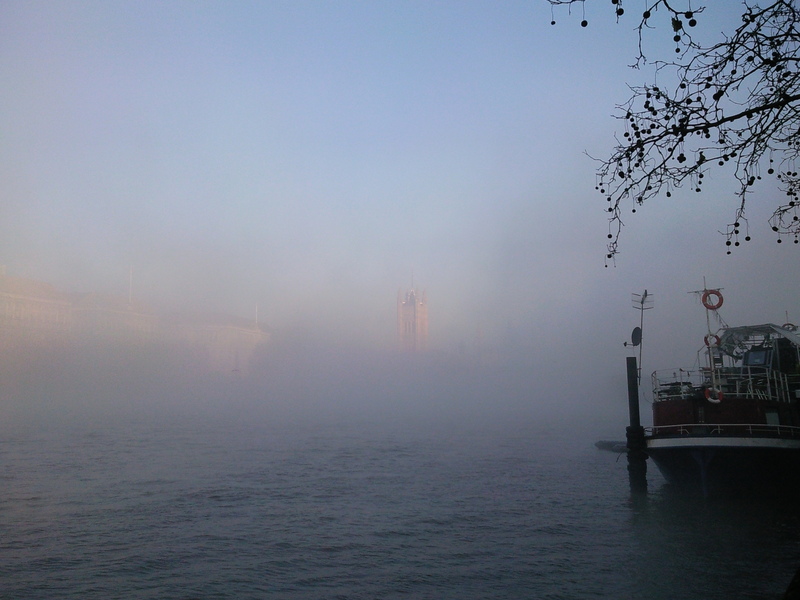 This morning, there was the most fantastic mist that had settled all over the Thames, which made for a jolly exciting walk into work this morning. 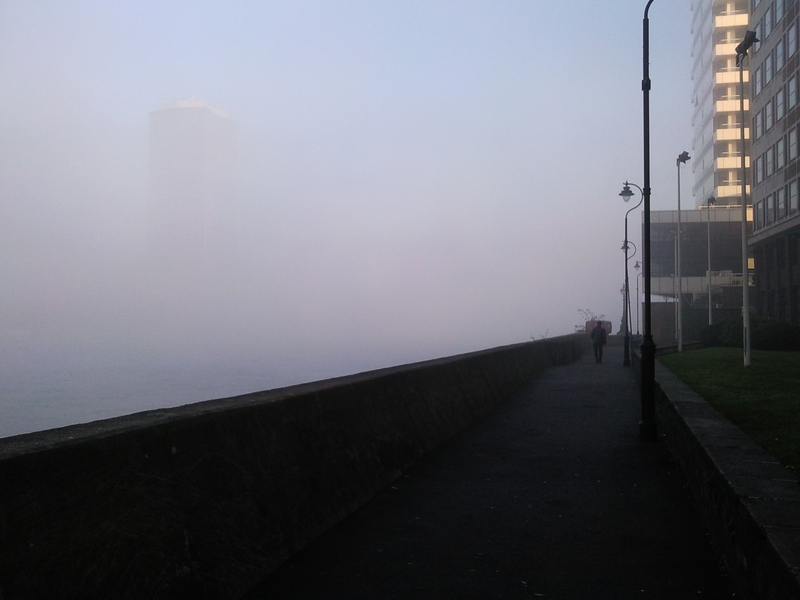 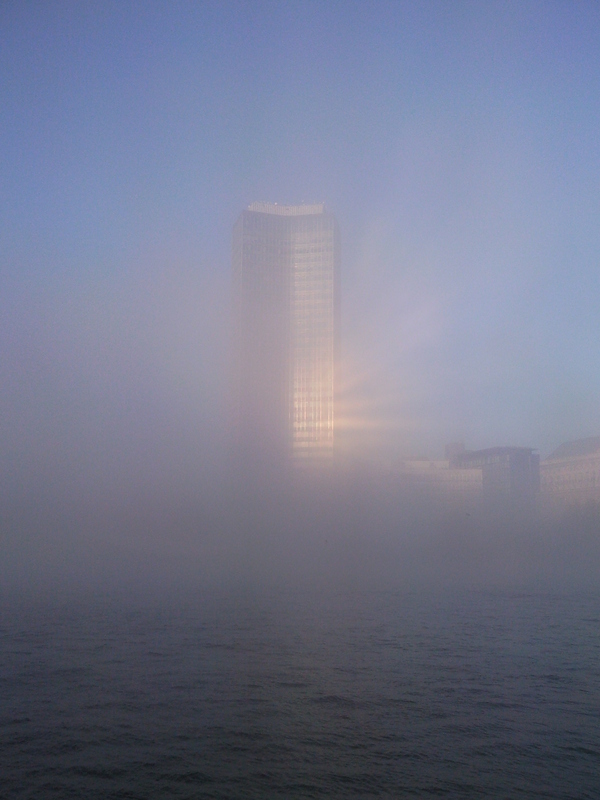 From my development, all one could see was a massive sheet of white where the banks of the Thames normally are. 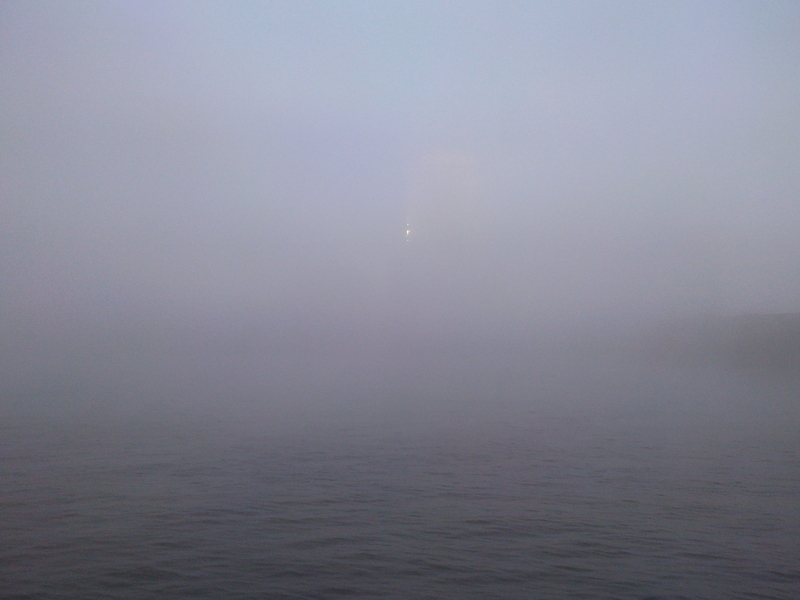 Alas, and despite my secret wishes for it to be so, we encountered no aliens in the mist, such as were described in the fantastic Stephen King novel (which Frank Darabont made into an awesome film! ).